Chandigarh is one from the Union territories of India and capital for two states of India (Punjab and Haryana). Institutes with national importance are located in Chandigarh. The state is famous in providing quality education and it has become a study hub for the students of various states such as Uttaranchal, Punjab, Jammu & Kashmir, Himachal Pradesh and Haryana. Chandigarh is the home for famous colleges students from all over the countries prefer colleges of Chandigarh to study. The top colleges in Chandigarh feild wise are Ayurvedic Colleges, Engineering Colleges, Homeopathy Colleges, Law Colleges, Medical Colleges, Nursing Colleges, Pharmacy Colleges and so on..
You can find government colleges as well as numerous private colleges in Chandigarh which helps you in gaining higher education. Universities/ colleges in Chandigarh are well-know for competitive exams not only in India, but also abroad. Colleges of Chandigarh offer engineering courses such as Computer Engineering, Electrical Engineering, Production Engineering, Civil Engineering, Aeronautical Engineering and so on. 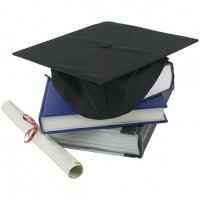 Some Colleges of Chandigarh also provide scholarships for the outstanding students. The students who are below poverty levels are supported by the universities/colleges in Chandigarh and are allowed to study technical and vocational courses. Some Colleges in Chandigarh offer programs such as Master in e-commerce, Master in Business Economics and so on. Professors and faculties in the colleges of Chandigarh are well versed and experienced. The Colleges are well equipped with modern facilities such as computers and libraries, students are also provided with accommodations. "Following is the list of colleges in Chandigarh. All Colleges in Chandigarh are divided into region wise. To view colleges in a particular region kindly select the region from the drop down list. The number of colleges in any particular region is mentioned in front of the link. If you come across any college in Chandigarh which is not found from our list below, please do let us know by using add in list which is default in our website�.